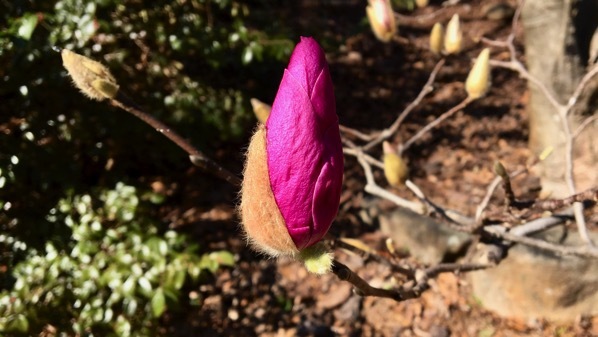 Japanese magnolia bud. They were open on another tree, but this one was all bud. 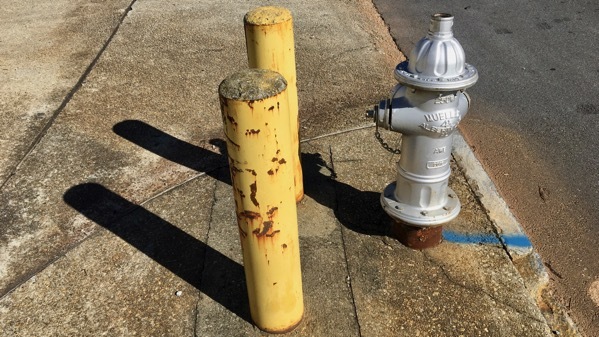 Silver fireplug with two columnar friends. Buds? This entry was posted on Wednesday, 13 February 2019 at 7:44 pm. Such a delight! 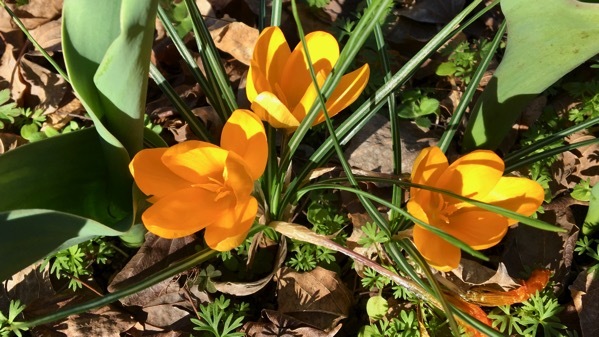 These two, the Japanese magnolia bud and the golden crocus, both observed in one day. You are fortunate. Now the other “buds”???? Well… very uncommon in my territory.